Miracle (2004) – What's New on Netflix Canada Today! The inspiring story of the team that transcended its sport and united a nation with a new feeling of hope. Based on the true story of one of the greatest moments in sports history, the tale captures a time and place where differences could be settled by games and a cold war could be put on ice. In 1980, the United States Ice Hockey team’s coach, Herb Brooks, took a ragtag squad of college kids up against the legendary juggernaut from the Soviet Union at the Olympic Games. Despite the long odds, Team USA carried the pride of a nation yearning from a distraction from world events. With the world watching the team rose to the occasion, prompting broadcaster Al Michaels’ now famous question, to the millions viewing at home: Do you believe in miracles? Yes! 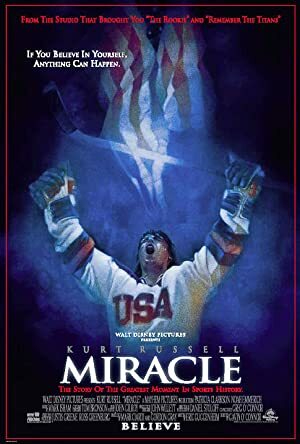 U.S. hockey coach Herb Brooks unites a motley crew of college athletes and turns them into a force to be reckoned with at the 1980 Winter Olympics.